Presumably best known and beloved style from Maryam Nassir Zadeh. 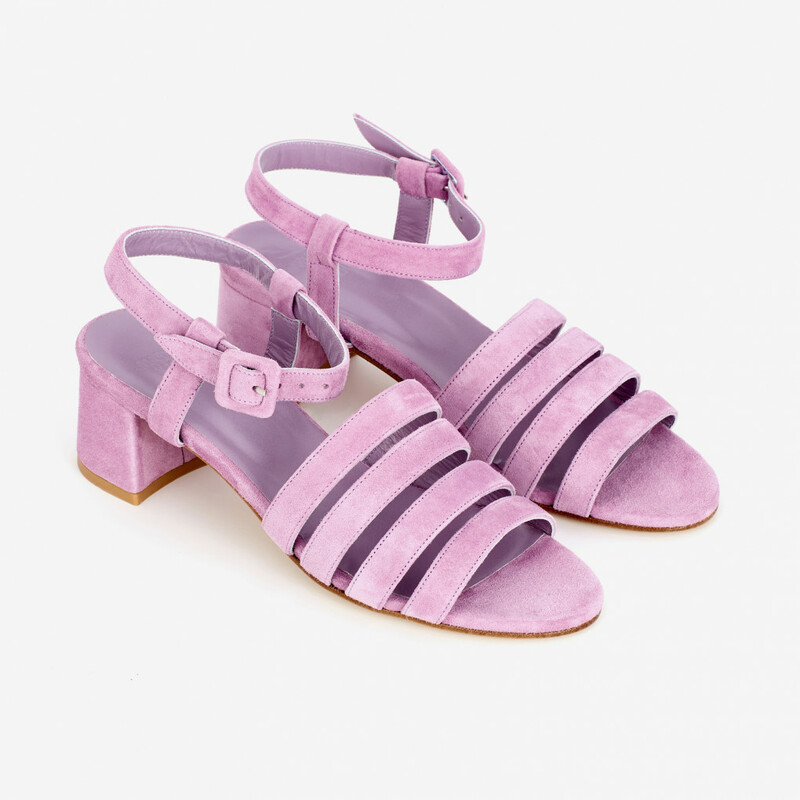 This multi strap sandal in lavender suede is a fresh interpretation from the sixties block heel sandals. Almond shaped toe. The buckle is covered with upper material. Outsole in contrasting beige colour. Tonal stitching. 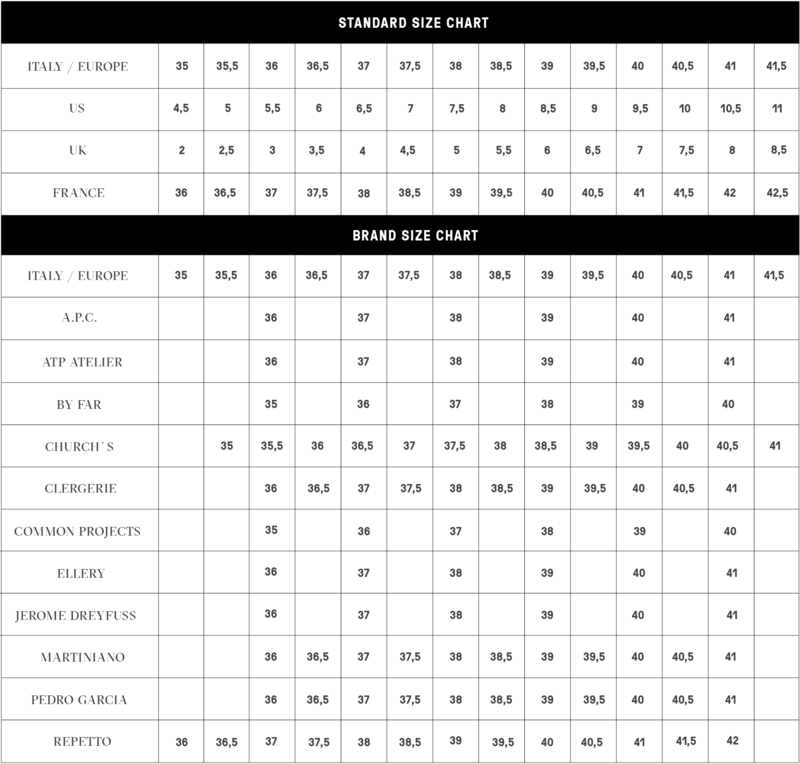 Heel height 45 mm. 1 x Lavender Palma Low Sandals was added to your shopping bag. 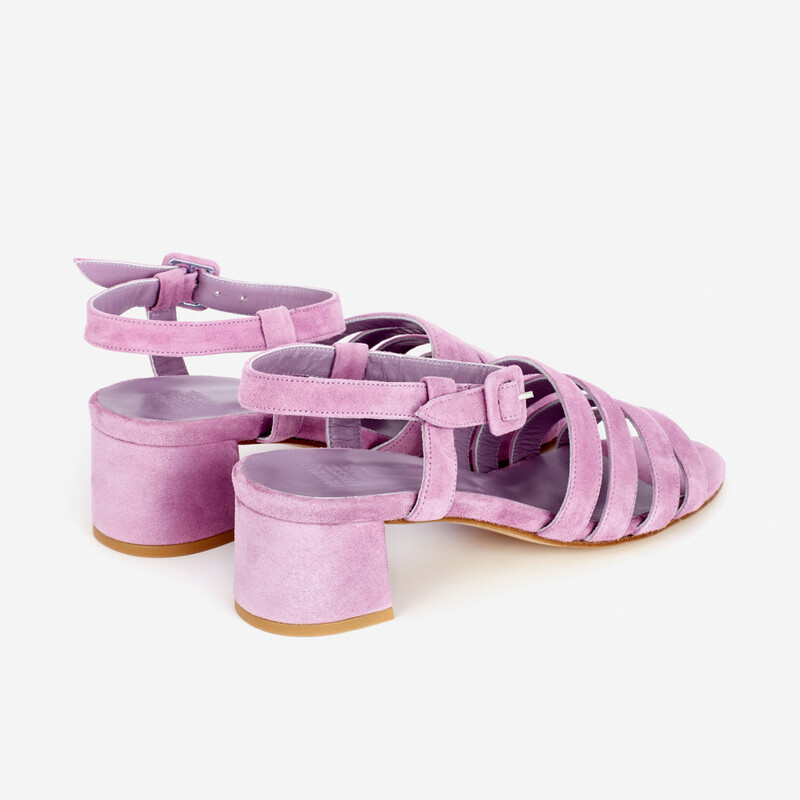 1 x Lavender Palma Low Sandals was added to your wishlist.